TO REDEEM PROMOTION, FILL OUT SCHEDULE AN APPOINTMENT BOX, INCLUDE PROMO CODE 2852 IN THE DESCRIPTION AND WE WILL CONTACT YOU TO SCHEDULE AN APPOINTMENT. Mill City Heating & Cooling will take an additional $300 off all boiler replacements or new boiler installations this winter. Combined with available energy rebates, homeowners can save up to $800 on a boiler replacement in Minneapolis, St. Paul and the Twin Cities metro area. This promotion will end on February 28, 2019. Last year while we ran our winter promotion, a customer in Minneapolis found our promotion and called us for a free estimate. 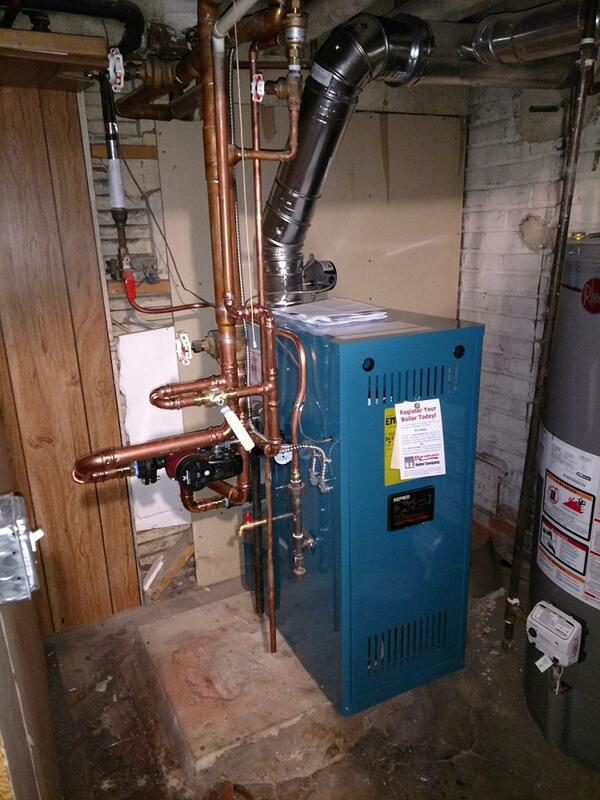 One of his boilers in his duplex had broken down and he decided to have a new boiler installed instead of continuing to spend money repairing his 25-year-old boiler. His main concern was getting the boiler replaced as soon as possible as he did not want his tenets to be without heat. We were able to provide him an estimate the same day and installed the new boiler the following day. He qualified for a $300 rebate from CenterPoint Energy and was delighted to receive an additional $300 discount from our promotion. The property owner is also happy that he does not have to worry about the boiler breaking down anytime soon.